Twenty seventeen was an impactful year for mobile app development because it created a basis for growth in mobile technology. According to Statista the number of mobile app downloads is projected to rise over 250 billion this upcoming year. Up from 57.33 billion in 2012 it’s no wonder mobile app trends are on a must know basis. Analysts predict that IoT will grow into a $661.74 billion industry by 2021. This however directly impacts the current mobile app trends as IoT devices are controlled by smartphones. 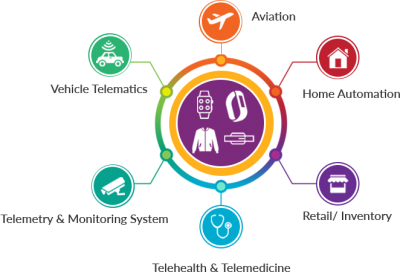 From healthcare to smart homes IoT apps will gradually take off and evolve in 2018. Apple watch apps have already been booming and continue growing. Google has also recently released Android Things to increase IoT adoption. 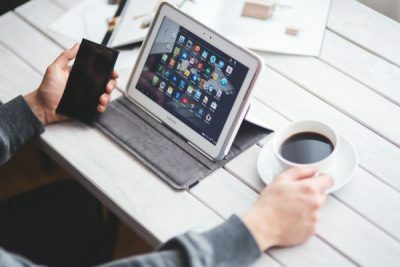 As we see an increase in demand for connected things, apps will be required for smart devices other than smartphones. Such as integrating mobile apps with Virtual Reality (VR) headsets and smartwatches. Speaking of VR, in 2017 we saw this trend grow due to consumer and business demand. Both AR and VR possess huge potential when it comes to transforming a diverse range of industry sectors. Augmented Reality will primarily be driven by the retail, healthcare, engineering and real estate industries. While Virtual Reality will be more focused on gaming and events. Even though, we do expect more companies to explore VR for apps that will help people do their jobs. For example: Cisco recently introduced Cisco Spark, an experimental Virtual environment for workers to improve team collaboration. While VR will continue to work on growing, Augmented Reality (AR) will explode in 2018. 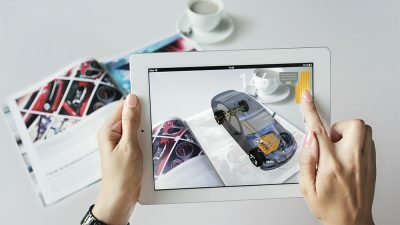 Apple has already started setting the bar with the development of ARKit, a framework that will help make it easier for businesses and developers to create AR apps for iPhones and iPads. This is where AR beats out VR as a more popular mobile trend for 2018. Augmented Reality (AR), unlike VR, can be experienced on most smartphones without the need of expensive hardware. Since millions of people already carry their phones everywhere AR will quickly become an ideal way for businesses to offer a new type of experience to their customers. As a result, an entire suite of new apps and startups around AR and VR will emerge. For instance, Pokémon Go came, conquered and fizzled out, but the development company didn’t. On the contrary, the development company, Niantic, is currently working on a new AR game based on Harry Potter. So it wouldn’t come with much surprise if there’s prominent investment and growth within this mobile trend this year. Google had previously collaborated with Twitter to develop AMP. A stripped-down version of HTML with an aim to accelerate the speed of mobile pages. Since Google introduced the AMP project, you can now load web pages on your mobile device much faster. It has even declared that it will provide an isolated search index for the mobile web. AMP will then help apps load more quickly on all mobile devices, reduce bounce rates, improve user experiences and offer more mobile search engine visibility. This change will also help publishers increase visibility to their ads and the number of visitors. Moreover, since it is from Google, the importance of adopting it will be higher and search engine ranking on mobile devices are going to change drastically. Since the introduction of Apple Pay and Google Wallet, customers have gradually shifted to mobile commerce. This refers to the buying and selling of goods and services through wireless handheld devices such as smartphones and wearables. 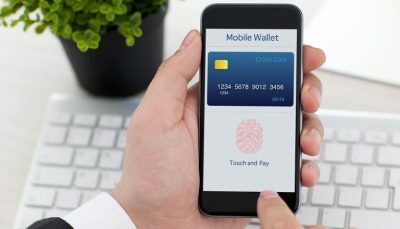 Mobile payments not only give customers an easier way to pay, it also offers companies a great way to collect data and provide in-depth client analysis. Government agencies have begun to adopt this trend already with technologies like UPI, to facilitate app-based money transactions. Other technologies on their way to making app-based payments the next big thing in 2018 are mWallets, IMPS and the like. 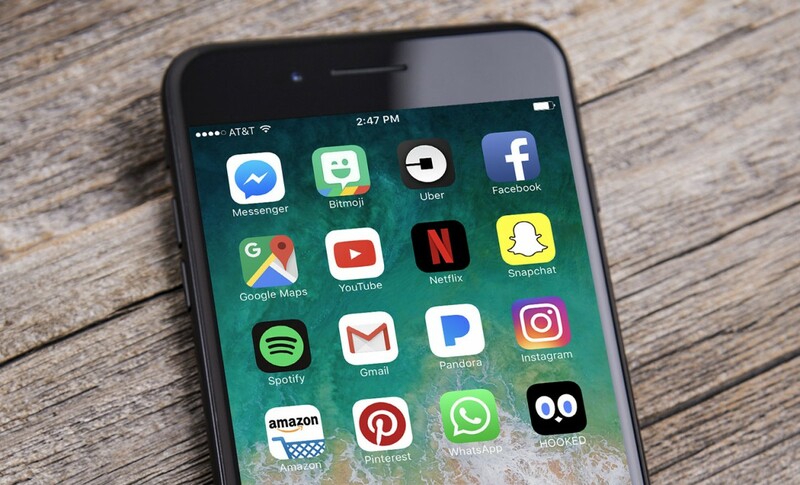 One of the top mobile app trends that started in 2017 but will skyrocket in 2018 are On-Demand mobile applications. We don’t mean On-Demand like HBO but rather the type of On-Demand services such as food delivery, car rides, home rentals etc. The apps that make people’s lives easier and more convenient. Big names already come to mind like Uber, GrubHub, Lyft, Netflix, TaskRabbit and Airbnb. But this year will bring more On-Demand apps from startups or possibly large companies trying to benefit from this mobile trend. One of the major pros of Hybrid Apps are their reduced cost and quick development. Essentially because they run as an app, but are technically mobile websites. Over 70% of organizations have already began adopting the “Bring Your Own Device” model. With the faster development process of hybrid enterprise apps, organizations can now offer their employees a secure corporate network that they can connect to from their own smart devices. Regardless of what kind of smart device since hybrid apps also have a cross-platform advantage. According to Cisco, cloud apps will drive 90% of total mobile data traffic by 2019 on a global scale with a 60% of annual growth rate. Therefore, naturally Mobile App Developers are designing more cloud driven apps. 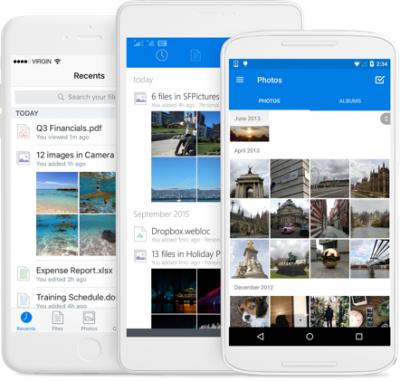 With the increase of cloud technology data has become much quicker and easier to store without eating up your phone’s memory. Cloud apps like Dropbox and Google Drive are creating a path towards the growth of other mobile app trends. For instance, Cloud-based mobile apps and Hybrid Enterprise apps are mobile app trends that go hand-in-hand. Cloud-based apps can help alleviate the data security issues inherent in the BYOD model. Protecting sensitive corporate data within employee devices that are not completely secure was a huge downfall in the BYOD model. However, with the protection of the cloud, organizations can now feel safe about their data when adopting said model. This increased emphasis on security will not only affect the increase of Cloud-based apps and the BYOD model, but also the Mobile App Development process. The actual process will remain the same, but now developers will focus on ensuring that every app comes with built-in security features. Cyber Security for the development of IoT and mobile apps will be at the top of the list of priorities this year. Apple took a huge leap forward toward better app security by developing its own coding language – Swift from Objective-C. This new language integrates IT security into an app’s early development stages including additional security measures such as – code encryption, secure back-end and API, reputed payment gateways and a lot of testing. With time more developers will begin adopting this new language and as a result create apps with a better UX and stronger security. In 2018, mobile apps will not only get more secure, but also more intelligent. Intelligent Apps, Cyber Security and IoT will all add Artificial Intelligence capabilities to its processes and 65% of US consumers will more than likely interact with Chatbots. The Chatbot market is predicted to reach $6 Billion by the end of 2023 while the AI market will experience a revenue growth of over $40 billion in 2020. The reason behind this upcoming growth is that these new technologies, when combined with mobile apps, give way to learn more about user preferences, improve customer interaction, provide better engagement and boost sales. In 2017, we saw popular Chatbots developed like Melody and Eno. As well as improvements on previously released Chatbots like Prisma, Siri and Google Now. However, this year we expect these mobile app trends to step into the next level of intelligence. Last but not least is the introduction of Lazy Loading technology. Images that used to slow down the loading time of an article or a page will no longer be an issue. With Lazy Loading, images will only load when they are being viewed directly on a page. By hiding the image when it isn’t being viewed the page avoids overload. 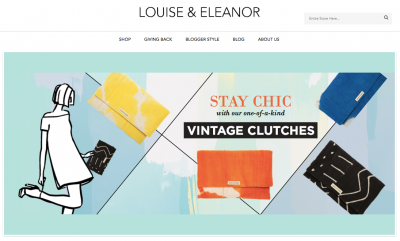 As a result, bounce rates will reduce and conversion rates will increase. In order to compete in the mobile app world small businesses, start-ups and even large companies must begin using apps for brand awareness, sales and marketing. However, as more companies begin adopting a mobile strategy it becomes necessary to stay one step ahead of the game. Follow the latest industry trends including mobile app trends by subscribing to our blog or follow us on social media!